The Ullens Center for Contemporary Art (UCCA) is a comprehensive, not-for-profit art center serving a global Beijing public. As a platform for contemporary art linking China and the World, UCCA offers exhibitions and public programs which focus attention on the cultural situation in China, stimulate the development of the arts, and advance the public cultural sensibility. 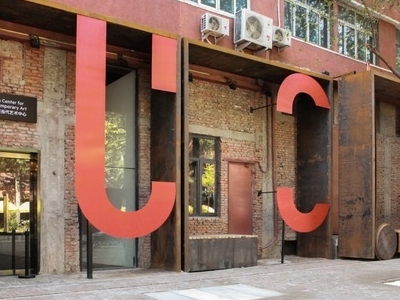 The Ullens Center for Contemporary Art (UCCA) located at the heart of the 798 Art District, it was founded by collectors Guy and Myriam Ullens and opened in November 2007. Through a wide array of exhibitions and programs, UCCA promotes the development of the local artistic environment, fosters international exchange, and showcases the latest in art, design, and other fields. UCCA’s cultural and educational programs bring the public into close contact with cutting-edge thought in art and the humanities, advancing the public cultural sensibility and bringing new experiences to its audience. UCCA’s four main spaces play host each year to around fifteen exhibitions of varying scale. A rich complement of educational and interpretive programs expand the reach of these displays, bringing viewers into closer contact with the ideas behind the work on view. As an international museum operating on Chinese soil, UCCA maintains a special focus on recent developments and historical movements in Chinese contemporary art, pairing this expert engagement with exhibitions devoted to major trends and figures from around the region and the world. Through the rigor of its curatorial standards, UCCA aims to further the development of the art world in China and bring public attention to the very best work being made. Since its opening in 2007 till 2011, UCCA has mounted 62 exhibitions attracting more than 1.5 million visitors. The exhibition “’85 New Wave: The Birth of Chinese Contemporary Art” opened the Center’s program. In 2009, the major solo show “Qiu Zhijie: Breaking Through the Ice” took the construction of the Nanjing Yangtze River bridge as a lens on the inherent absurdities of everyday life in the context of a fiercely ambitious modernization program and an unwavering national will. Later that same year, the groundbreaking exhibition “Breaking Forecast” showcased a core of eight major emerging Chinese artists. In 2010 saw the site-specific exhibition of a creative dialogue between Olafur Eliasson and Ma Yansong, redefining the boundaries between art and architecture. In 2011, Liu Xiaodong’s “Hometown Boy” evoked the complex sentiments of home, and brought to light the philosophizing of a generation caught in a time of transformation, while shows like Wang Jianwei’s “Yellow Signal” and Tatsuo Miyajima’s “Ashes to Ashes, Dust to Dust” exposed the inner contemplations of artists towards the fundamentals of life and society from distinct philosophical angles.